New park opened in 2017. 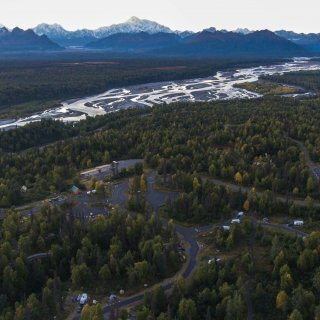 Large campsites very private with some having a view of Denali and Mount Foraker. 30/50 amp power, level gravel sites with paved roads throughout. We camped at Kesugi Ken in a Motorhome. nice park in a beautiful setting about 60 miles north of Fort Nelson. running on Generator so only 15amp power. 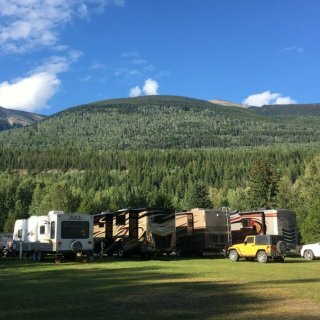 Large spacious campsites no wifi or cell service. Best Cinnamon Rolls on the highway.We will be back! We camped at Tetsa River Lodge (formerly Tetsa River Services) in a Motorhome. Highest price park I have stayed in YT and BC. I had to use the Wifi in the laundry because it doesn't work in the camp sites. Surprised there was no cell service only 15 miles out of Watson Lake. Nice campground for the area but again way overpriced. 5th trip on the Alcan, will keep driving past this one in the future. We camped at Baby Nugget RV Park in a Motorhome. Even though the Downtown Park is no more than a gravel lot, I'd stay there for the night if I had to stay in Watson Lake. 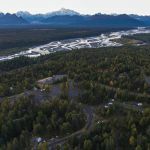 We have been looking for a clean park between Liaard Hot Springs and Prince George for several trips and happy to say we have finally found one. No permanent campers, large level gravel pull thru sites with screened privacy fences, fire pits and picnic tables. Wifi works great as does Verizon. Mosquito free as of May 31. We will be back. 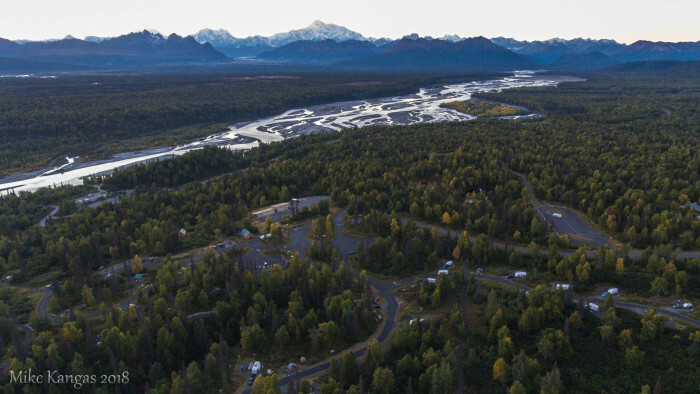 We camped at Coffee Creek RV Park in a Motorhome. Walmart, Safeway and reasonable fuel 15 miles away in Fort St John. After being buffeted by the wind Along I-84 I was pleasantly surprised to pull in and find a nice oasis protected from the winds of the Columbia River Gorge . Half circle pull thru's made it easy to get a MH and toad in with ease. Peach orchards abound. We camped at Peach Beach Campark (Sunset Orchards) in a Motorhome. Don't miss the Stonehenge replica dedicated to all the WW1 veterans from the local county that sacrifice their lives for freedom. Also Maryhill Museum worth a visit. Spend 2 nights and do it right. From Fort Nelson to Fort St John, very few options. Park was ok to pull, plug and dump. That's about it. After 3 trips on the Alcan, still trying to jet by this un scenic countryside without driving 500 miles. Reduced price was due to no water or sewer in early May. Things are still frozen north of Fort St John in early May. Gas station in Whitehorse and city dump and fill station in Fort Nelson only things open that early. We camped at Pink Mountain Campsite in a Motorhome. Say hi to the owners goat and keep on driving! Let's see, short walk to a stunning waterfalls, water park in RV park, pool with 3 hot tubs, friendly staff, easy to navigate and a great value. 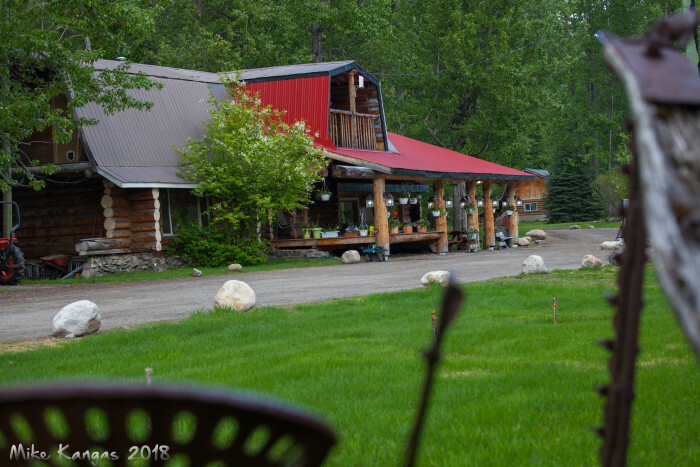 We camped at Bridal Falls Camperland RV Resort in a Motorhome. This is a must stop traveling highway 97 just south of Prince George. Friendly staff, easy access and well treed for shade. First park south of Prince George and north of Fort Nelson we stayed in that had no permanent residents. We have made several visits. We camped at Canyon Creek Campground in a Motorhome. Meet by a valet, quick check at office. Then escorted us to our pull thru site. Nice wide long pull thru's. Pool and hot tub a nice way to end a day traveling. Will plan future trips around this park. Only negative was $52 a bit steep in my opinion. Possibly jaded traveling thru Canada and not paying much more than $30 USD for very nice parks. We camped at Columbia Sun RV Resort in a Motorhome. Nice park with a great restaurant. Pull thru spots 50x20 with easy access. No cell service and free wifi is terrible. Great park as long as you don't need communications. Would stay here again. We camped at Johnson's Crossing Lodge in a Motorhome. Basic Park in the middle of nowhere. Wide pull thru's. No road noise. Good wi fi. No cell coverage. Host not the most friendly. 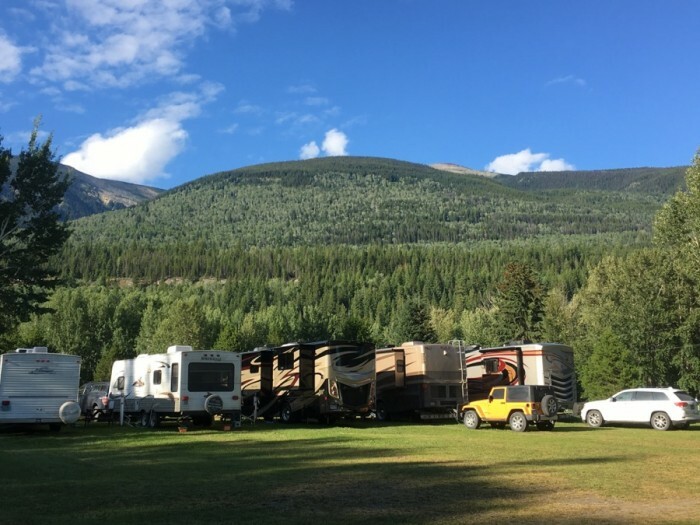 We camped at Dease Lake RV Park in a Motorhome. Southern part of the Cassiar Highway very good until the Stewart Cut off 37A. Northern portion paved but pretty rough. Much more scenic than the Caribou from Dawson Creek to Ft Nelson. One of the nicest BC sites we stand in. Would of given it a 10 rating except the wi fi didn't work when we arrived. By morning it worked and was fast. Gravel sites with grass strips in between. Flowers everywhere. We camped at Shady Rest RV Park in a Motorhome. 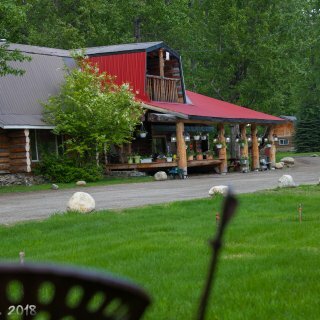 Friendly host, spacious and treed sites. Good cable TV. Wifi ok. Couldn't use a hose to wash the bug guts off my windshield? What's with that? We camped at Bear River RV Park in a Motorhome. Clean park with little highway noise. Good wi-fi, friendly hosts, grass parking area, pull through sites a bit tight. Would stay here again. We camped at Beaverview RV Park & Campground in a Motorhome.